On behalf of the Parent Council, I would like to extend a warm welcome to all of our new and returning students, staff and administrators. Brown School’s reputation of academic success can be partially attributed to parental engagement, so we encourage you to get involved in the school by participating in the Parent Council and volunteering for our committees. fosters positive relationships among parents, staff, the administration, and the community. We held our Annual General Meeting on Tuesday, September 10th where the previous year’s financial statements were reviewed and the new executive was voted in front of one of the largest turnouts in recent memory. Afterwards we held the first Parent Council meeting of the academic year and received reports from the various volunteer committees that help enrich student life at Brown. Ms. Christakis shared her Principal’s report and provided updates from the TDSB. Many thanks to everyone who assisted with the setup of the New Parent Breakfast and for the food and beverage donations. The new Starbucks located at St. Clair and Deer Park Crescent provided the coffee for the breakfast and meeting. Thank you Christy for picking it up. The Fall Fling and the QSP/Brown School Magazine Drive are the two main fundraising activities at the school, details of which can be be found in this Bulletin and at the school website - brownschool.ca. Parent Council meets every month, alternating between morning and evening meetings. The next Parent Council meeting will be on Thursday, October 16th at 7:00 PM in the Library. If you would like to learn more about Parent Council, feel free to contact me via email at nickbibassis@gmail.com. 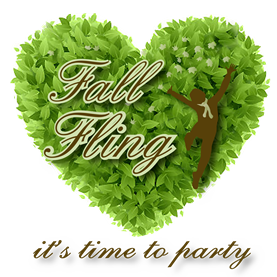 Please mark your calendars for the Fall Fling on Thursday, November 6th, from 6:30 to 8:30 PM at the Badminton & Racquet Club. The Fall Fling is not only a fundraiser, it is also a great way to meet other parents as well as the staff, enjoy food and cocktails, the silent auction, music and socializing. Parent donations for inclusion in the silent auction are always appreciated and can be dropped off at the School Office any time. For example, tickets for sporting events, theatre tickets, skills for hire such as design, architecture, or any service you may have. Tickets to attend are $50 each and go on sale weeks before the event, with an early bird incentive of a dinner at Scaramouche. There are many ways to purchase tickets including at the school and online. Please look for our table at Curriculum night where you will have the opportunity to be one of the first to purchase your ticket! More information will be coming home at the end of September in your child's backpack. Also please check the school's website for updates. We hope to see you all at this important school social and fundraising event! THE QSP MAGAZINE FUNDRAISER is a fun and easy way to raise money for important school programs. Simply renew existing subscriptions or buy new ones. New this year: Digital Magazine Subscriptions and Photo Books! Be Excited About Reading: It’s a fun-filled two weeks where your kids can earn great rewards and be eligible for daily prizes just for supporting their school. Eager to start selling? Visit www.qsp.ca to register your child now. All sales will count towards their reward levels.